Listening to culture. Playing with audio. Sounding out technology. Composing in code. To employ the strictest musicological term: yow. That’s Autechre‘s remix of the Bug‘s “Skeng.” The track has reappeared at self-titledmag.com, having been available first, for just 24 hours, at factmag.com on September 21. The original version of the track, “Skeng,” appeared on London Zoo, the 2008 dubstep album that teamed the Bug (aka Kevin Martin, aka Techno Animal, and numerous other sonic guises) with various vocalists, in this case Killa P and Flow Dan. The revised “Skeng (Autechre Dub)” buries those words in a thick minimalist murk. While in no way unprecedented, it’s great to see an artist long associated with Warp — that is, Autechre — step over and participate on a Ninja Tune project. The two labels are longstanding British progenitors of electronic music (and derivations thereof). The song was previously remixed by Kode9 (currently streaming at youtube.com). A dual-12″ Bug EP due out November 15, titled Infected, will feature the Autechre track, along with a Justin K. Broadrick (Jesu, Godflesh) remix, among other goods. No formal listing at the Ninja Tune site, but keep an eye on its “singles” page at ninjatune.net. This is, of course, the 20th anniversary of the founding of the label; more details on its celebratory releases at ninjatunexx.net. In the past 24 hours, Warp Records made available for streaming a single track off the forthcoming Brian Eno album. It’s a post-punk rush, opening with tribal drums and some fritzed-out feedback not un-reminiscent of Robert Fripp’s guitar. It builds slowly, in a manner that brings to mind bands like the Feelies and, especially in its last minute, Sonic Youth — though only to the extent that Sonic Youth inherited the wall-of-fuzz guitar of Eno’s mid-’70s rock albums. The song is titled “2 Forms of Anger,” and it’s due for release at the start of November on the album Small Craft on a Milk Sea, which gives a credit to both electronicist Jon Hopkins and guitarist Leo Abrahams. It’s Eno’s first album on Warp, known as the home to Aphex Twin, Autechre, Squarepusher, and other adventurous musicians. The song is hosted at soundcloud.com, where enthusiasm is best gauged by the density of vertical bars superimposed on a given track’s waveform, each bar representing a comment from a listener. One side note: Typically, the illuminated down arrow in that waveform interface (on the right hand side) signals a track is available for free download. In this case, it links to an opportunity to purchase the track. But since the album isn’t yet for sale, it simply leads to brian-eno.net. Previous disquiet.com coverage of the record, from mid-August: “What the New Brian Eno Album Might Sound Like,” which includes a free Jon Hopkins MP3. Addendum: I posted this a bit prematurely. I want add the following: This track makes me much more excited about the upcoming album than I had been. Eno’s work in recent years, on a sonic level, has largely been more interesting theoretically than in practice, from his last solo album, through his collaborations with David Byrne and Paul Simon, to his score for Lovely Bones, to his varied interactive projects on the iOS platform (Bloom, etc.). This song, though, is visceral — not that his music needs to be visceral to make an impression (if anyone has, it’s Eno who’s made it clear that one can be the opposite and leave a lasting one), but its visceral-ness is such a refreshing and welcome surprise that it changes the lens through which the album will be viewed. It shows compositional development from beginning to end, and it plumbs the recesses of his catalog, notably his association with the long-ago No Wave culture in New York. My only criticism after several initial listens is that some of the guitar, especially early on, sounds quite apart in the mix, almost like it was layered in as an afterthought. That may be the result of the subpar compression rate — Soundcloud, like many such services, streams at 128kbps — but since Eno’s a producer known to test-run his albums on cassette tape, it’s assumed that he gave this one a listen at 128 himself before unleashing it. Like any great label, Stones Throw embraces its roots, celebrating them as an influence, incorporating them as samples (as is inherently the norm in hip-hop, the primary music at the label), and repackaging them for a new generation. 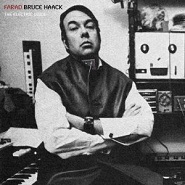 A new album, Farad: The Electric Voice, collects vocoder tunes recorded in the decade following 1970 by music pioneer Bruce Haack, who passed away in 1988. The label has posted one of the album’s tracks, “Electric to Me Turn” (MP3), which sounds a bit like late-era Raymond Scott, or the loungey commercial-jingle work by Herb Pilhofer that Thes One remixed on his Lifestyle Marketing collection. Also for download, a Haack remix by Danimals, of the track “Incantation,” due out on forthcoming EP (MP3). More info on Haack at stonesthrow.com. On September 9, the music-hosting service Bandcamp.com (where a lot of netlabels and electronic musicians have made their home) announced a change in its pricing policy, specifically in regard to free downloads, which had previously been unregulated (a la the Internet Archive, at archive.org). Subsequently, over a certain threshold, the musician (or label) would be required to pay for additional free downloads, ranging from three cents per download to half that amount, depending on the payment plan. The immediate response by musicians was such that Bandcamp quickly revised its announced plan, providing monthly allotments of free downloads, rather than one initial batch. Basically, for me, the new configuration, with 200 downloads for free a month, should work out fine, as long as I keep my number of releases limited. The reason for this is that I get a lot more “plays” (streamed audio) than downloads. Unlike archive.org where a download is a click away, Bandcamp has a bit of a complex downloading utility. I think it causes some people to prefer streaming to downloading there. So, as things stand, the allotted download amounts should suffice for my purposes. Since I like the simplicity of the interface in general at Bandcamp, and also the ability to obtain flac as well as mp3 files, if desired, I think I will stay put. Visit Park at mystifiedmusic.com, and listen to his retro-proto-electronica and his urban mutescape. I started using Bandcamp because it offered the chance to serve FeedbackLoop Label purpose of collecting some donation / pay what you want for a release, in order to gather money to release physical editions (one of the objectives of FbL). What I think is that the main appeal of Bandcamp was the integration and offering of several different business models for artists and labels, which in this shady days of commercial music is the best idea to implement flexible systems, that can shift quickly and adapt to change. By simply “ending”the Free Downloads what will possibly happen is the loss of artists / netlabels that can in the future be using their Payed Services going after other services. And what is really interesting (from a negative perspective) is that Bandcamp is rejecting the foundation of CC licensing in music, which is their biggest mistake. When a lot of people is going for CC licenses in everything (music, writing, photos, video) Bandcamp is going the opposite way, embracing the Copyright system. For a sense of what the FeedbackLoop label is all about, check out a recent Landrecorder EP, for which I wrote the liner notes, and the pianotronic work of Adam Williams and Rosado. I have mixed feelings about it. Bandcamp is a great way to get your music out — it’s easy to use, nearly bugless (in my experience) and professional. Thus, I’m not particularly happy about it, but I think that in the context of moving to a pay model the terms are relatively reasonable, especially the monthly “recharge” and in light of the fact that downloading an album counts as one download, regardless of the number of tracks. As much as we all like the service, I don’t know that we’re entitled to it. There’s no right to Bandcamp, it’s just that no one likes to be surprised. There is something to be said about free music. Some artists, like myself, depend on the site to distribute our records. For us, it’s just about getting the word out, not making money. For popular, high-traffic artists, this change could pose a problem. They may have to reorganize, and I don’t know of any alternatives that are better, honestly. It’s certainly not unworkable, just potentially more inconvenient. I don’t like it, but I also don’t blame Bandcamp for doing it. They didn’t go Napster on us. Check out Bernal’s Besides… EP and his For Corners album, which I listed as one of my 10 favorite free downloads of 2009. Visit at diegobernal.net. I like bandcamp and will continue to use it because it supports my “name your price with no minimum” policy. I think Bandcamp has done a good job with their new policy protecting artists with smaller audiences while putting together a business plan that will allow them to survive and (I would hope) eventually make a profit without getting taken advantage of by popular artists looking to cut corners on a large “free give away” style promotion. As currently implemented the new policy will only effect a few hundred of their more popular artists. As aboombong is one of the artists right on the cusp of the level of popularity that would be impacted, I crunched the numbers to make sure it made sense to keep using the service. For aboombong, between 6 and 7 percent of people who download music name a price above zero with a range from 1 cent for an album (all of which goes to paypal, so I am not sure what the point is) to over 20 dollars for a single track (average about 4 bucks an album paid if anything is paid). In the end, when you factor in free downloads, I make about 25 cents per download (most of which are full album downloads). Since band camp charges $20 dollars for 1000 free downloads (2 cents a pop), at my current return, about 95 paid downloads covers the cost of 1000 free downloads (factoring in the 15% profit share that goes to Bandcamp). But, of course, that only becomes an issue when free downloads exceed 200 per month. For the kind of music I make, that is a good problem to have. For those who have significantly more downloads than I do and don’t want to go with a name your price strategy, well, there is always the internet archive. The short version of all of this…much ado about not much, but I hope it will lead to Bandcamp-like distribution replacing the current big-boys in the industry. Not too many time in the past has 85% of a sale gone directly to the artist. Certainly a step in the right direction. Check out Aboombong’s Amnemonic EP. Visit him at aboombong.bandcamp.com. Read the Bandcamp announcement at blog.bandcamp.com. Confusion about the aligning of director David Fincher and screenwriter Aaron Sorkin on the Facebook movie, The Social Network, seems a little overstated. Sorkin, best known perhaps for his work on TV’s The West Wing, may write some of the most non-action-oriented verbiage in modern drama (“I write people talking in rooms, he told David Carr of nytimes.com), but that’s not much of a contrast with Fincher, whose best work, like Se7en and Fight Club, transforms the world into a CGI-like realm that seems more frozen in space than actually flesh and blood. Fincher’s influence is most clearly felt in the 360-degree cadaver inspections of CSI and the 2001-monolith-like typography of Fringe. There was arguably more “action” in the racing-corridor dialogue of The West Wing than there is in all of Fincher’s Zodiac. If Sorkin writes words to be spoken in enclosed spaces, then Fincher turns those spaces (people included) into architecture to be investigated from all angles. Which is to say, the pair are a perfect match, and they’ve found their rightful aural sparring partner in Trent Reznor, of Nine Inch Nails, who along with Atticus Ross scored Social Network with a series of ambient-industrial set pieces, five of which are available for free download at nullco.com/tsn, including the siren song (quite literally, as it’s shot through with a gleaming alarm) of “Eventually We Find Our Way” and the lulling wisp that carries the superb title “The Gentle Hum of Anxiety,” the latter complete with a piano part worthy of Erik Satie, had he lived long enough to serve Alfred Hitchcock’s will. 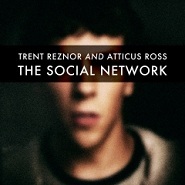 (There’s a good conversation between Fincher and Reznor at pitchfork.com, in which Fincher recalls asking Reznor about ‘doing like a Wendy Carlos version of [Edvard Grieg’s] “Hall of the Mountain King.”‘) The full album is available in a variety of formats, including (through 12:01am PT on September 30) a mere $2.99 digital edition via Amazon. There’s also a CD (just $8, which is Fugazi-style pricing), a Blu-ray audio disc, and the requisite 180-gram vinyl edition. And the free music doesn’t end with the five-track EP sampler. The constituent parts of two of the Reznor-Ross score cues are available for free download as part of the ongoing open-source remix project at remix.nin.com. There’s “On We March,” which is included in the free five-track EP, weighing in at 10 stems (among them “bass,” “modular,” “swarm,” and “pluck) at 74 BPM, and “In Motion,” which is the second track on the full album, with 17 stems (“Korg,” “Odyssey,” “Oddity,” “Sub Loop,” “Gtr Noise”) at 124 BPM. All the remixes, which are piling up by the dozen, are available for free download. The remixing project is, in effect, a social network of its own, as participants upload their renditions and, along with casual listeners, rate them. NB: The free download requires you to enter your email address, and is delivered as a Zip archive of MP3s, which is why it’s not available for streaming here.